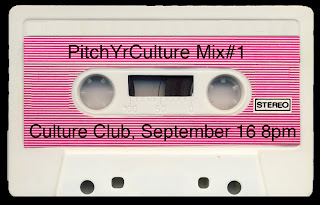 On September 16th, 2011, at Culture Club in Central HK, PitchYrCulture will launch a series of public-presentation forums titled PitchYrCulture. Each forum is dedicated to the exploration and explanation of recorded music in all its varieties. At each event, five to ten guest presenters will each explain a song that they have chosen, in relation to the event’s theme (see below). Each presentation will delve into the song’s history, cultural impact, and artistic ambitions and/or include personal anecdotes or aimless digressions. Presentations must not exceed the length of the chosen song. After the presentation, the chosen song will be played for the audience’s pleasure. Before-it-all: Do you remember the first song that made an impression on you or meant something to you, when you were really young, before you started to care what other people liked, what other people thought of you, before you needed to be cool or fit in, before you cared what was ‘in’? 那時那刻 - 你還否記得， 當你在年少輕狂、 無所顧忌的歲月裏，在你尚未畏懼世俗眼光、我行我素之時， 第一首令你難忘或是別有意義的樂曲? Alice Chik is Assistant Professor in the Department of English at City U of HK, is currently co-authoring the book, 'English pop, Hong Kong style”. 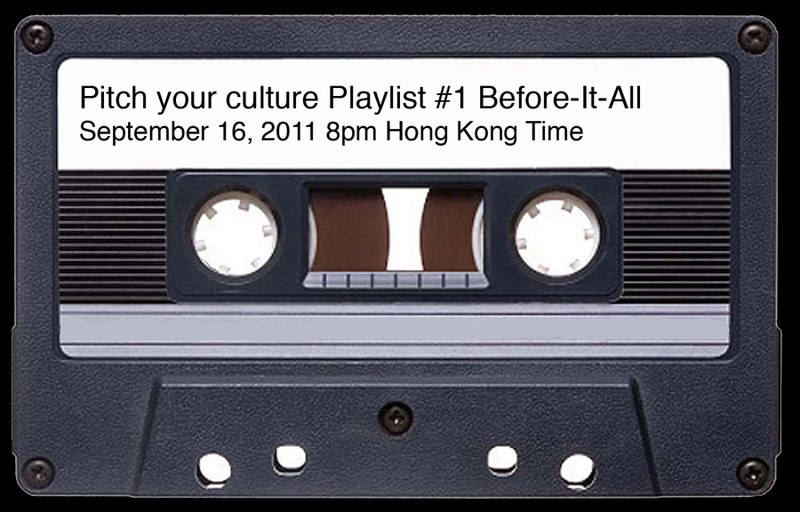 Andrew Guthrie is founder and organizer of PitchYrCulture Playlist. He is also the creator of the artist edition Broken Records: 1960 -1969, an image and text chronicle of ten 45rpms spanning the 1960s. Arthur Wong was born in Malaysia and lives in Singapore and Hong Kong. He studied as a Contemporary Dancer and Visual Artist at LaSalle College of the Arts. His artwork is a result of training in both the performing and the visual arts. Mike Middleton is a Senior Art Director in advertising and branding, and Head of Propaganda for Songs For Children, an indie-music promotion group based in Hong Kong. Oliver Holtaway was in the art rock band Awful Sparks in London in the mid-00s before moving to Hong Kong and becoming an indie DJ, playing at IN2IND and Songs For Children under the name of "Perfect Pete". Yanyan Pang is a local indie musician who formed the all girl experimental band Hard Candy in 2002. She is currently performing in a singer-songwriter project named Tyger Feb and playing bass for the psychedelic trio Logo. 85 years young Liu King Yung is a bubbly, smart and sociable grandma who has super good memory of songs from her growing up Liu King Yung. She will sing Wai Tau songs dating back to around the Second World War.